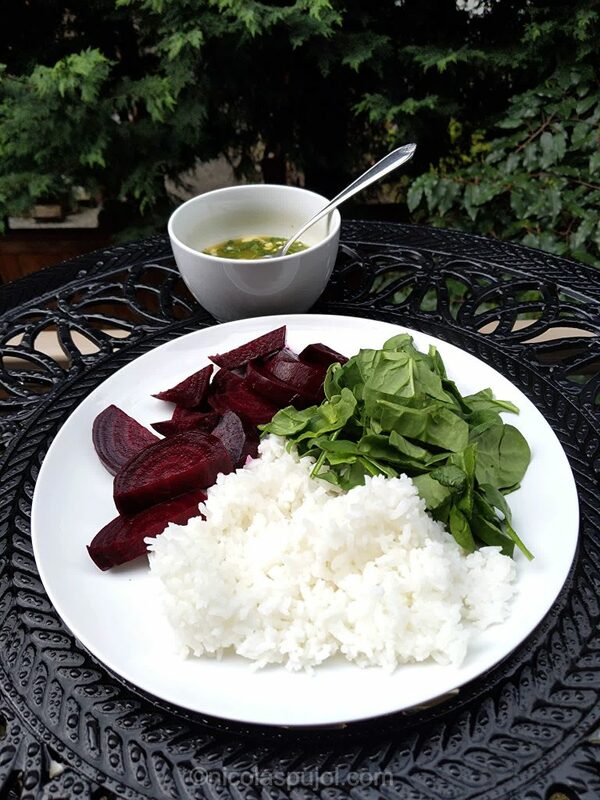 Today I was making a recipe for high intensity workouts, with beets, rice and spinach. 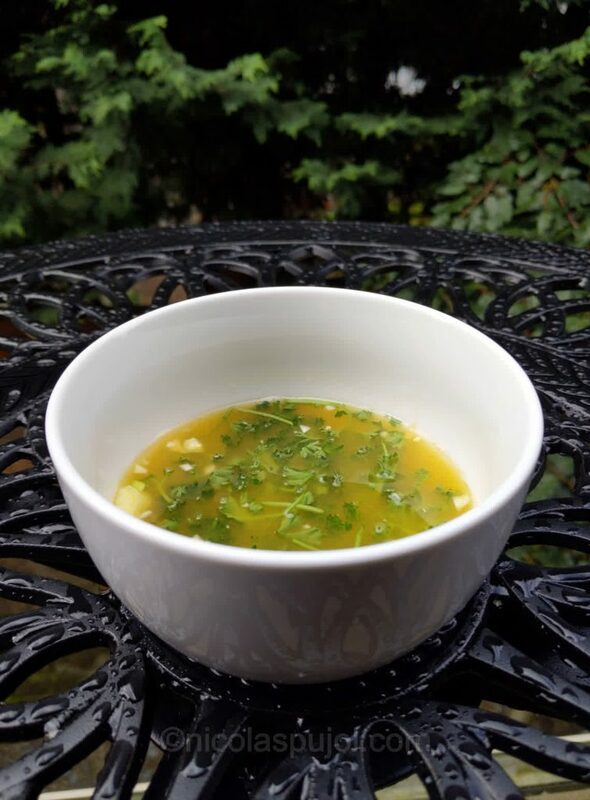 The dish needed a dressing, and I wanted to limit the amount of fat, while coming up with a new dressing that would change from the wonderful lemon mustard dressing. 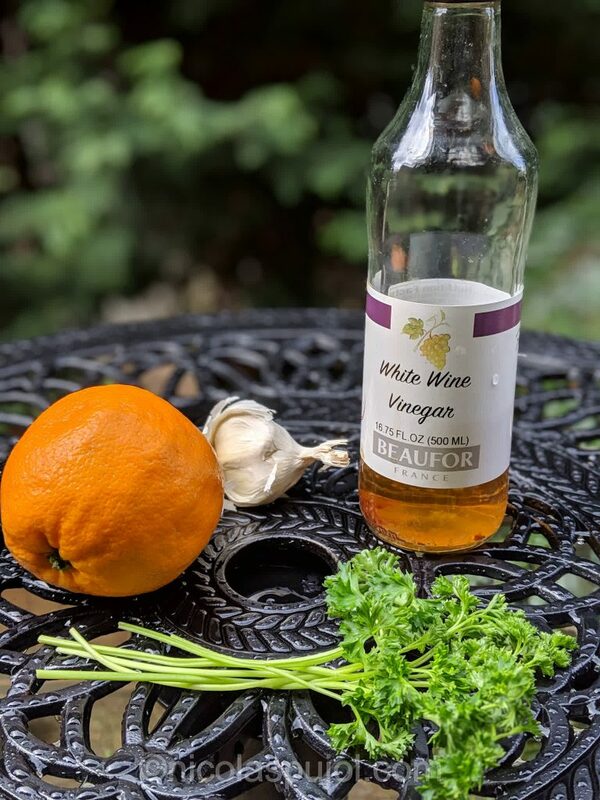 This is the genesis for this oil-free orange vinaigrette. The next question was, how to make it decently photogenic? 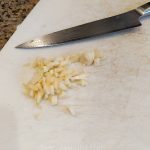 Since we are using garlic for this sauce, and keeping things simple, we are slicing the garlic close in tiny chunks and mixing it with the liquid ingredients. Perhaps we could add a bit of flavor plus a nice touch of green by inserting parsley? I debated using salt, which could be handy for athletes who think they will need a bit of sodium for their workout. It is no surprise that sports drink include sodium: our body loses a lot of it when exerting. But if we’re not that active, we may not need as much sodium. 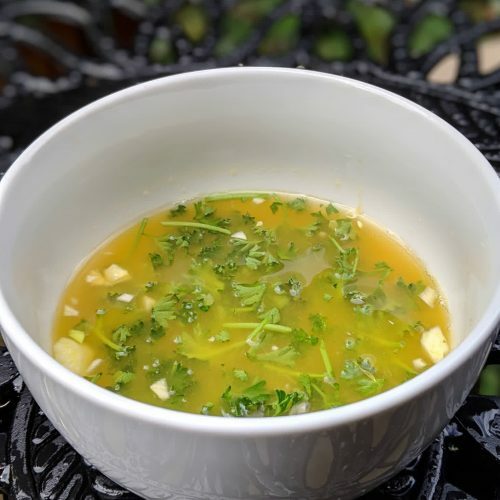 This oil-free orange vinaigrette gives you a mildly sweet dressing, which you can make sweeter with honey or maple syrup, or spicier by adding hot sauce to your dishes, in addition to the dressing. Oranges are by nature juicy, so one orange gives enough liquid for 2 servings of food. You can adjust quantities accordingly. Let me know what you think of this dressing and what you paired it with. 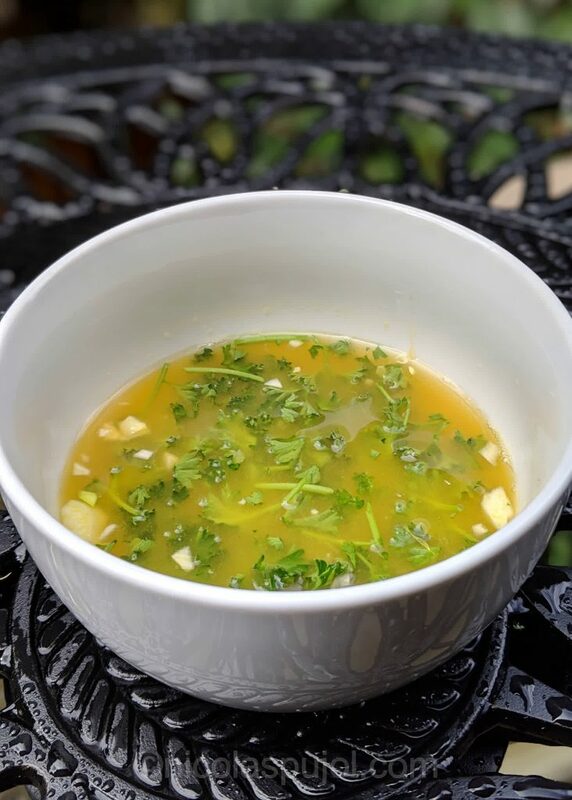 This oil-free orange vinaigrette dressing uses white wine vinegar, garlic, parsley, orange juice, and does away with oil and salt. Make it sweet or spicy. Chop the garlic and parsley finely. Squeeze the orange and place in a bowl, together with white wine vinegar. 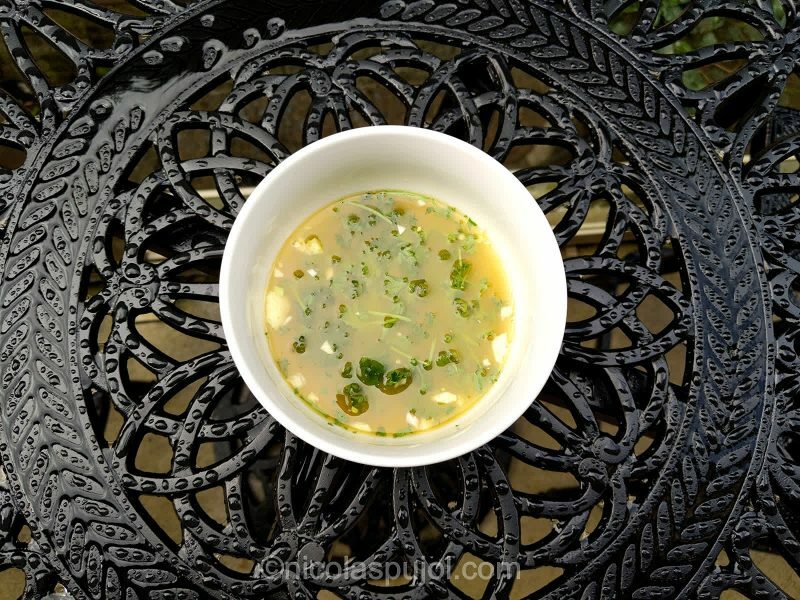 Add the garlic and parsley and mix well. Add to your dishes as is. Optionally, make it slightly sweeter by adding honey or maple syrup, or spicier by adding hot sauce (e.g. Tabasco) to the dish.